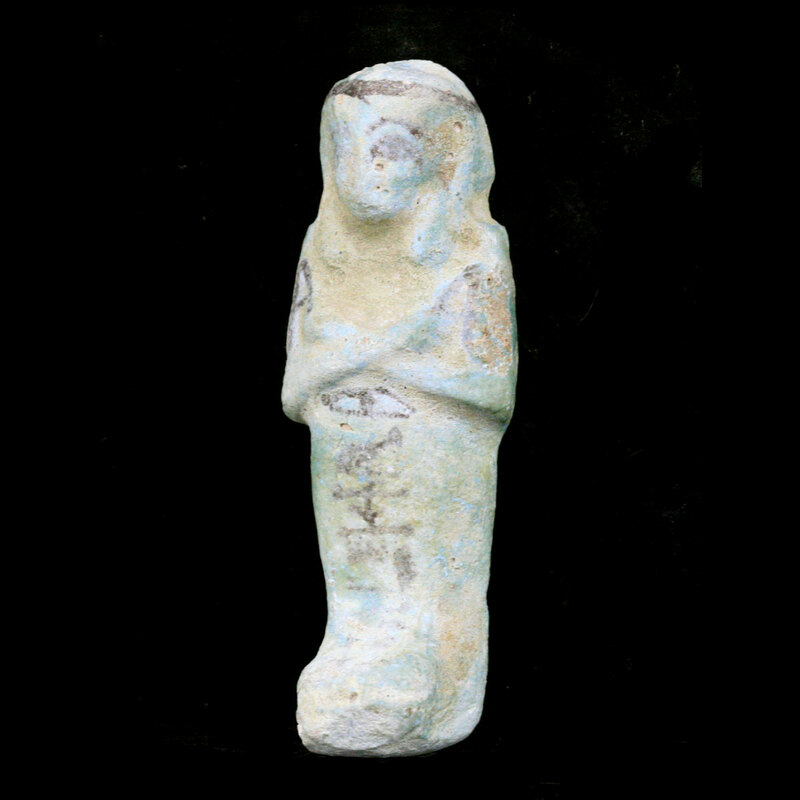 ﻿ Egyptian : Egyptian azure glazed faience Ushabti with details and hieroglyphs in a black glaze. 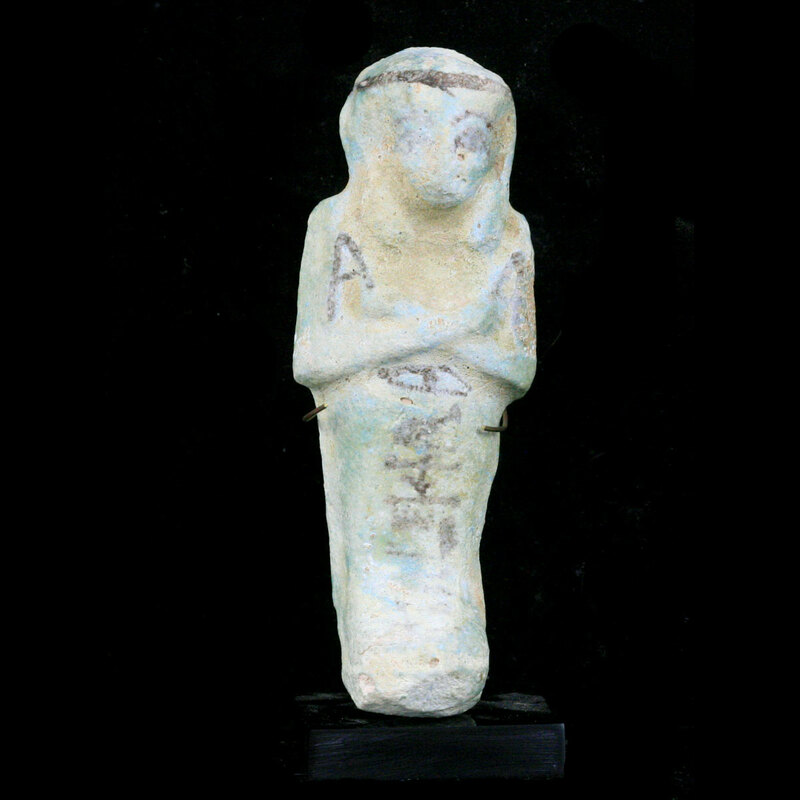 Egyptian azure glazed faience Ushabti with details and hieroglyphs in a black glaze. 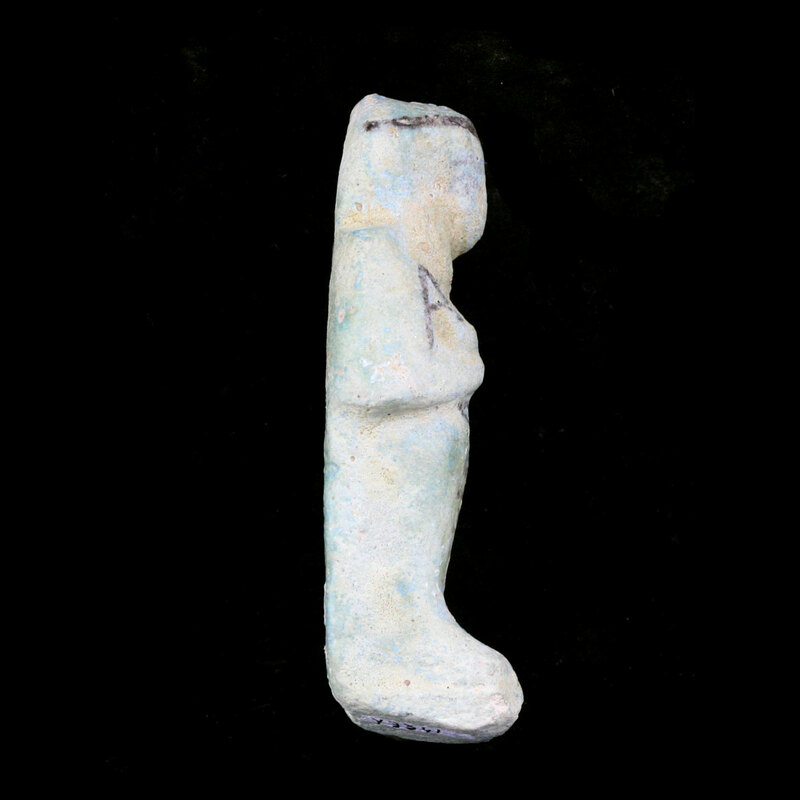 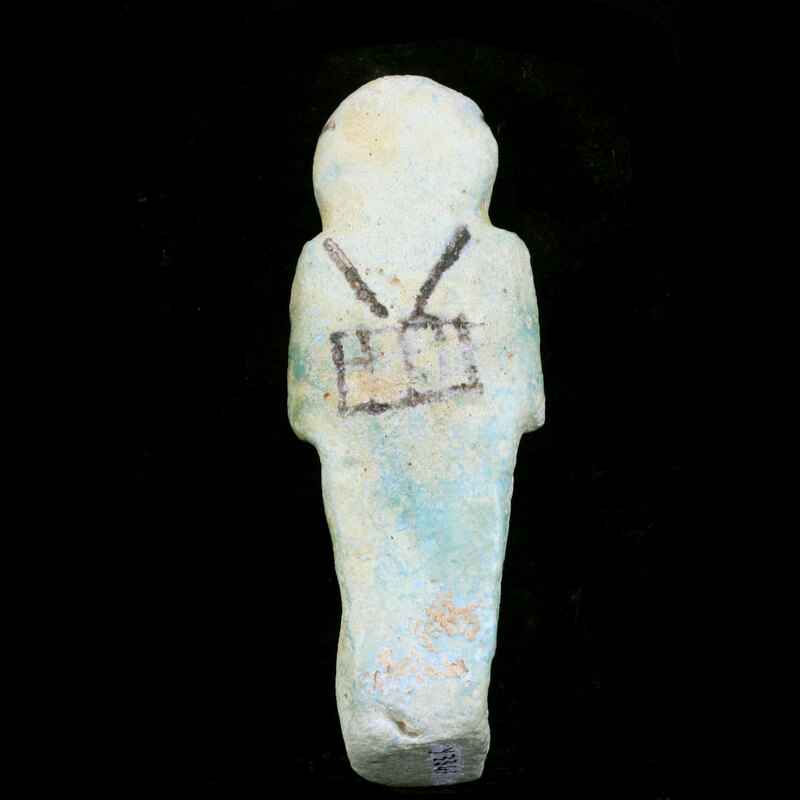 An Egyptian azure glazed faience Ushabti with details and hieroglyphs in a black glaze. 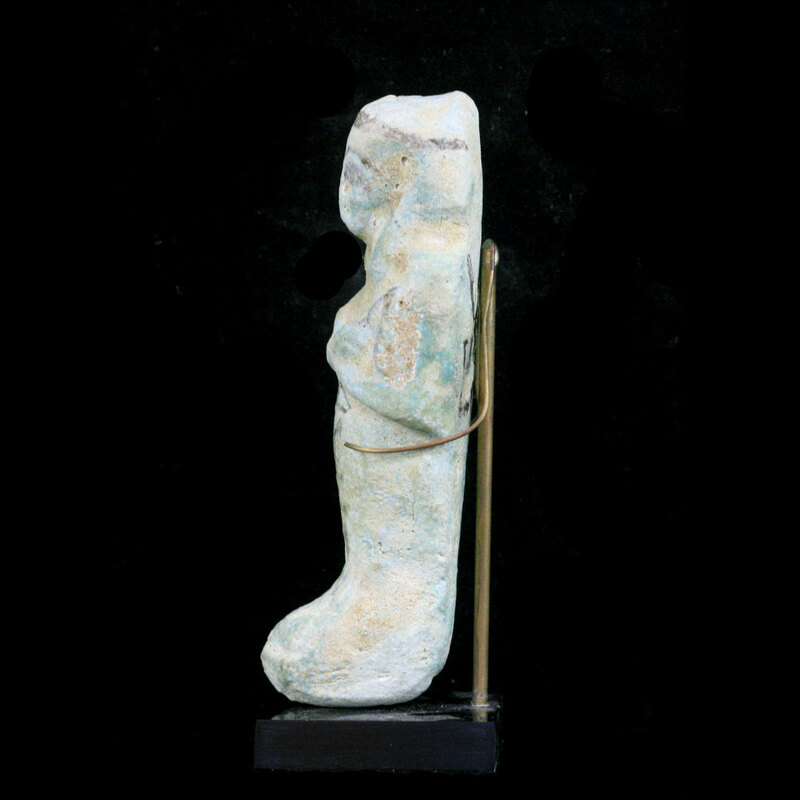 Minor surface loss, otherwise intact.